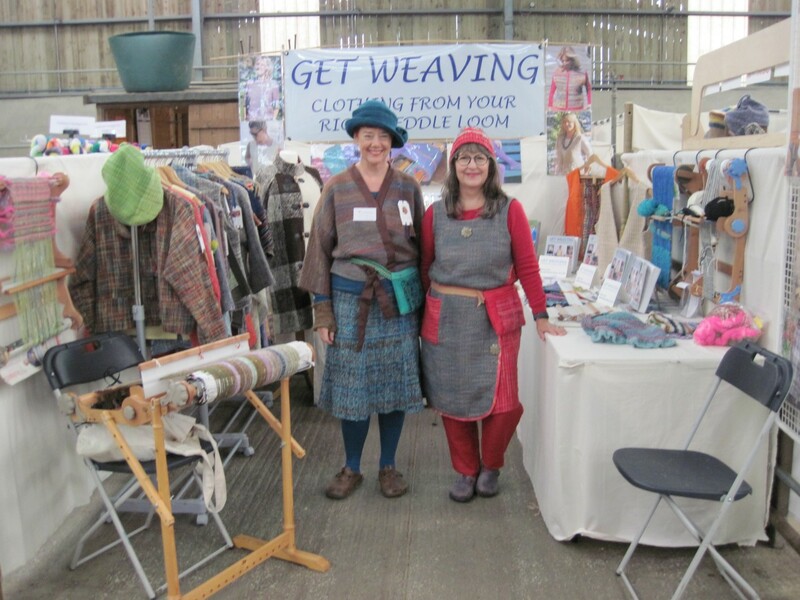 Welcome to our stand at Yarndale where we met so many lovely people over the two days. It was great to talk to you all and share ideas. It is hard to believe that all those wonderfully colourful and interesting stalls start off as this rather grey and empty cattle market. Oh the magic of colour and textiles. 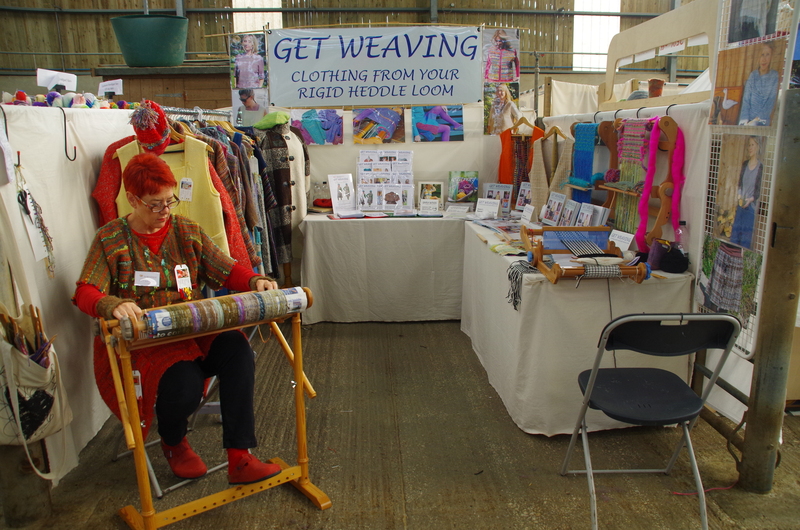 Once the stand is up and ready it is great to be able to weave all day and show people how easy it is to use these rigid heddle looms. Here Sarah is weaving on the Ashford 20″ Knitters loom that she has on a stand using her handspun yarn for both the warp and the weft. The plastic reeds on these new looms make it ideal for handspun and fancy yarns as they do not damage the fibres in anyway. 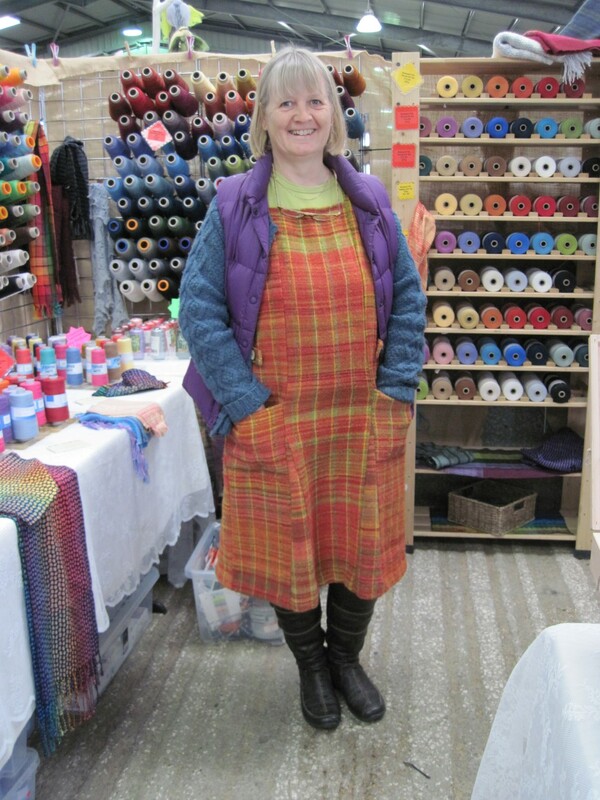 The show is also a great opportunity to catch up with fellow stall holders and here is Rachael on MY FINE WEAVING YARNS stand wearing her own handspun and handwoven dress which she made using one of Sarah’s original sewing patterns. These patterns (this is GW DR001 available from http://www.etsy.com/uk/shop/GetWeaving) have been designed especially to fit narrow widths of handwoven fabric and are beautifully hand drawn. This is a pinafore dress which uses six narrow panels of fabric that can easily be woven on the rigid heddle looms. 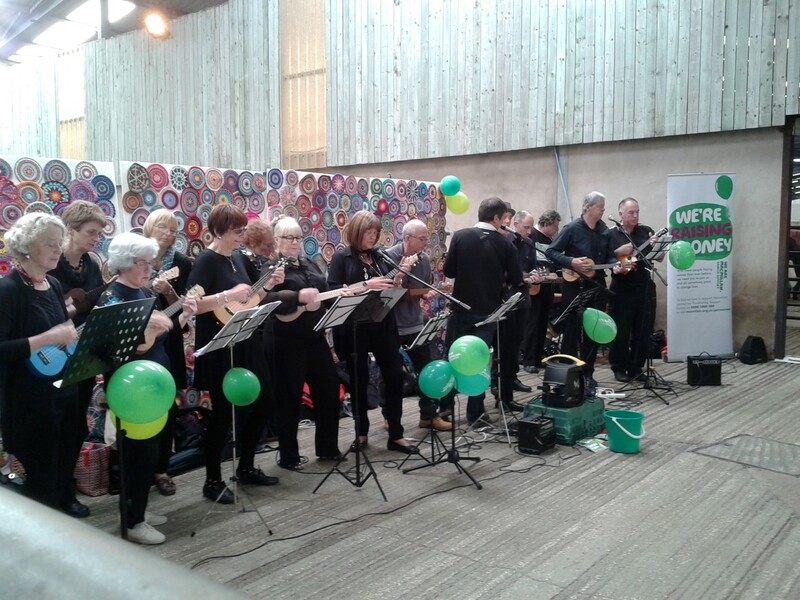 To keep us all smiling we were entertained by this amazing ukulele band (refrains of when I’m cleaning windows comes to mind!) They had come from all over England to play together and were really good as was the stunning display of crochet mandala wheels which had come from 49 countries around the world. 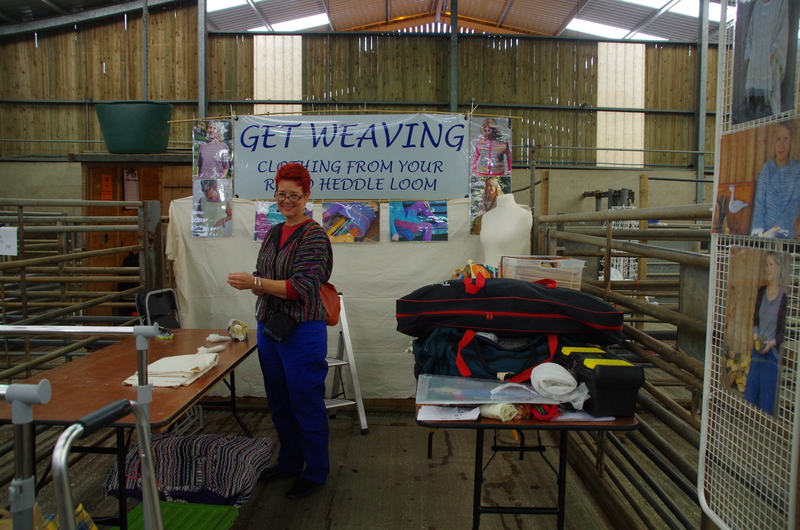 Thank you again for coming to talk to us and share in our enthusiasm for weaving on the rigid heddle looms. We thoroughly enjoyed our visit to Yorkshire and the warm welcome given to us from everyone. Happy weaving to you all. What fun you must have had. I send this on to someone to INSPIRE her 🙂 Nice job. Thank you for that nice comment. I hope they enjoy it too.